It appears American smokers are slowly moving away from traditional tobacco cigarettes and onto the next best thing, according to Bloomberg’s Businessweek. 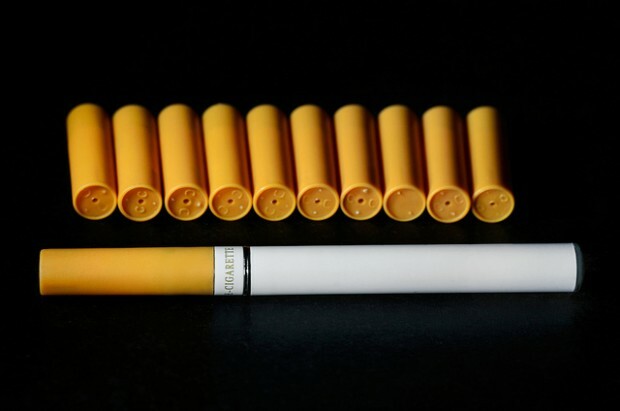 With several big tobacco companies releasing their own version of e-cigarettes, the business could hit $1 billion in income this year alone and could possibly outperform traditional tobacco smokes by 2047. The reason for the huge uptake of e-cigarettes is how companies advertise the product as being safer than normal tobacco cigarettes. Apparently, you are less likely to get throat or lung cancer by smoking a pack of e-cigs, however; this has yet to be proven as true since the American Cancer Society is pushing for the FDA to conduct more research into these claims before deeming e-cigs safe to use. Furthermore, e-cigarette supporters are claiming the rise of this new movement is not just a crazy trend, and that e-cigarettes are even less expensive compared to tobacco cigarettes. Big tobacco companies have a reason to support e-cigarettes that have nothing to do with our health. You see, e-cigarettes compared to normal tobacco cigarettes are subjected to ordinary sale tax, which means less expense and hopefully less illegal activity such as smuggling. However, at the end of the day we expect the government to find a way and pose the same tax laws on e-cigarettes as it does with tobacco cigs. The big question is, when will the world embrace e-marijuana? Someone needs to bring this idea before congress and the Obama administration.